Last night, while putting my daughter to sleep, we were talking about how she would like her room decor. 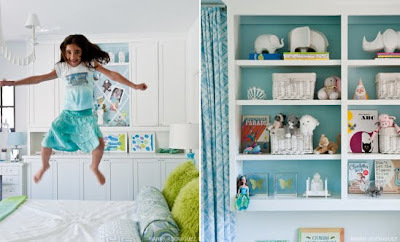 Her room projects is a huge one on my list. 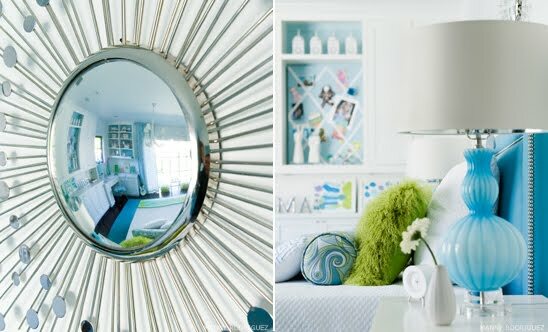 She was telling me she wanted a blue and green room... finding these images yesterday was such a surprise! So it definitely istn's your typical girl's room, but it is stunning! I love that it is sleek, fun, fresh... oh so lovely! The talented designers to blame for this gorgeous space are Lisa Martensen and Jan Jones. Amazing, huh? 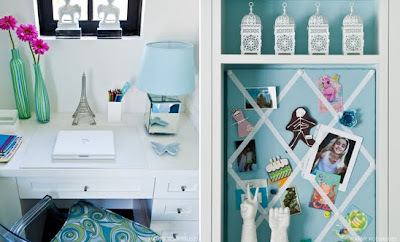 What do you look for in a girl's room? Let's Hang Up Those Dishes!